Midwood has opened a new kosher restaurant. 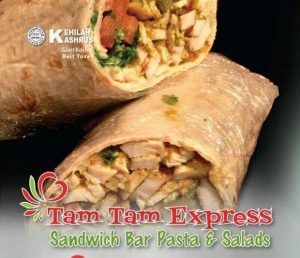 Tam Tam Express is a meat eatery that serves sandwiches, paninis, pasta, and salads. Paninis are made with parve Mozzarella “cheese”. Customers can try the Panini Burger Melt (burger, grilled onion, parve cheese, and garlic mayo), Philly “Cheese” Steak (beef, mushroom, parve cheese, grilled onion, garlic mayo), and others like the Chicken Parm Melt (grilled chicken, marinara, parve cheese, creamy basil dressing). Chicken, Beef, and Deli sandwiches are offered on wraps or baguettes. Each dish comes with nachos or potato chips and dip. Customers can also build their own sandwiches with their own choice of breads, vegetables, meat, and dressing. 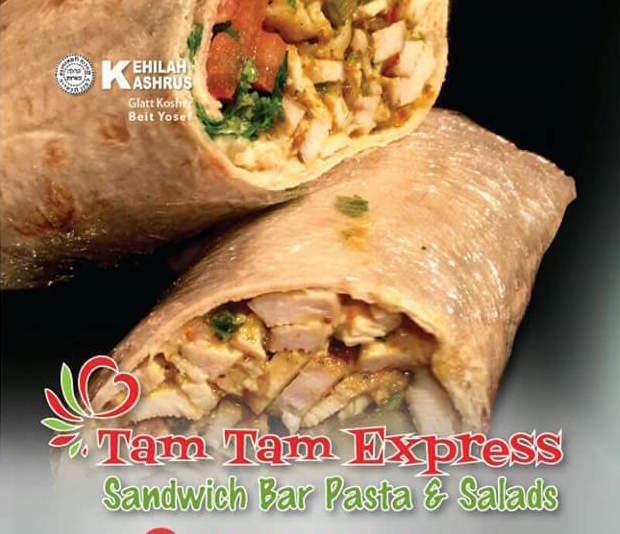 Tam Tam Express is certified by Kehila Kashrus.